Our National Championship will sell out due to the high number of teams that participate each year. If you know you are coming you can reserve your spot and we will hold a place for you. As long as you pay before the deadline (listed above) you will be able to guarantee your spot. Two divisions (Gold and Silver) for each age group (to crown two different champions) will be offered. NTBA will not allow teams to choose which division they will play in. Pool play record will determine your division and thus each team will truly be placed in their correct talent level for bracket play. The top half of the teams will be placed in the Gold Bracket and the bottom half will be placed in the Silver Bracket. There must be a minimum of 8 teams to have two different divisions. Great awards will be given to both the champion and runner-up for each age group. Both the Gold and Silver divisions will receive the same awards. Team and invidual awards will be given out. - Nationals will take place towards the end of the travel basketball season each summer. 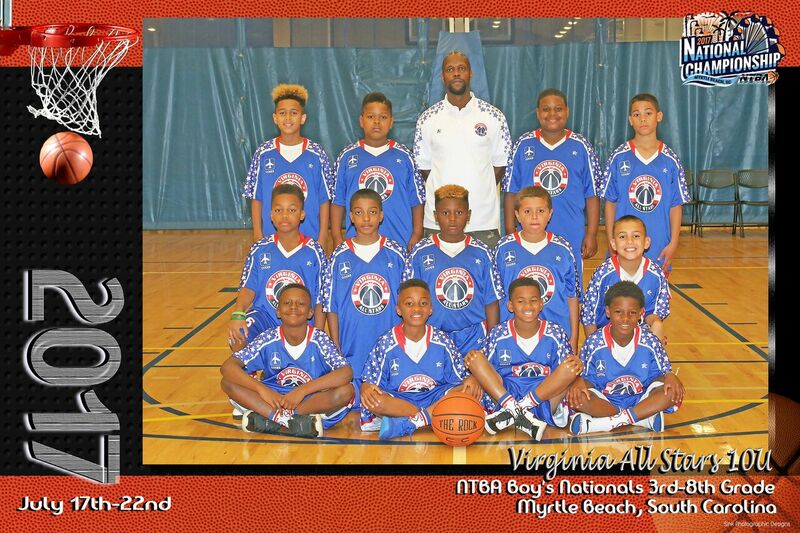 NTBA believes in offering a well organized event while keeping the cost as low as possible for each team. Discounted hotels are offered along with several discounts for attractions and restaurants. Teams are not required to stay a full week. The entry fee for Nationals is one of the lowest in the country. - Discounts for coaches at participating restaurants. - Scouting services are at NTBA Nationals and evaluations are sent off to college coaches. Some college coaches might be in attendence as well. - Action Photo's will be taken during Nationals and available to all players. - The National Championship is sponsored by Captain U. Each team and player can set up a free profile with Captain U to connect with thousands of college coaches across the country. - All players will be interviewed to assure no team is cheating or has illegal players. - 600+ teams from 20+ states represented! - Free smart phone app to keep up with all scores, team seeding for bracket play, and schedule. - NTBA National Championship apparel store. Team pictures will be taken at team check-in. Team pictures are mandatory to take, however you do not have to purchase team pictures (but they will be for sell if you want to purchase them). NTBA has partnered with CAPTAINU for its National Championships! Create a FREE profile with CaptainU and connect with Thousands of College Colleges. CaptainU will provide the team roster books to ensure that college coaches have complete information about your team and each of your players. Each team will be given a specific check-in time during the first day of Nationals. Any players arriving late MUST check in with NTBA before playing their first game. A player MUST be on the orginal roster that each team turns in to NTBA during team check-in, in order to be eligible for bracket play. Each team will wear their team uniforms to team check-in (either home or away color is fine). You MUST bring copies of report cards and birth certificates for all players along with an updated roster. NTBA will interview EVERY player to make sure all players are the correct age and in the correct grade. After your team is interviewed you will then take your team picture with Sink Photography. Please have your picture forms (listed above) filled out before arriving to team check-in. Great Awards will be given to both the champion and runner-up for each age group. Both the gold and silver divisions will receive the same awards. One team and two invidual awards (per player) will be given out to each team.